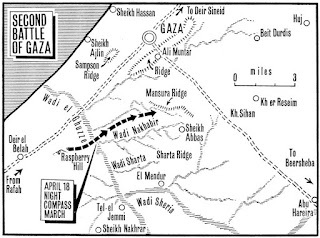 Early in 1917 Turkish troops defending a line stretching from Gaza and south east to Beersheba, blocked the only viable passage for British forces advance into the heart of Palestine. On 14 April 1917, the 10th (Shropshire & Cheshire Yeomanry) Bn. King’s Shropshire Light Infantry (10th Bn KSLI), moved from Khan Yunis to Deir el Belah the concentration area for the 74th (Yeomanry) Division. The Division comprised three Infantry Brigades, the 229th, 230th and 231st, the 10th Bn KSLI being part of the latter. These moves were preliminary to the Second Battle of Gaza, in which the 10th Bn KSLI was to play a supporting role. The First Battle of Gaza took place on 26 March, and was unsuccessful, although Sir Archibald Murray presented it as a victory. Murray’s despatches resulted in the War Cabinet ordering a second attempt on Gaza. 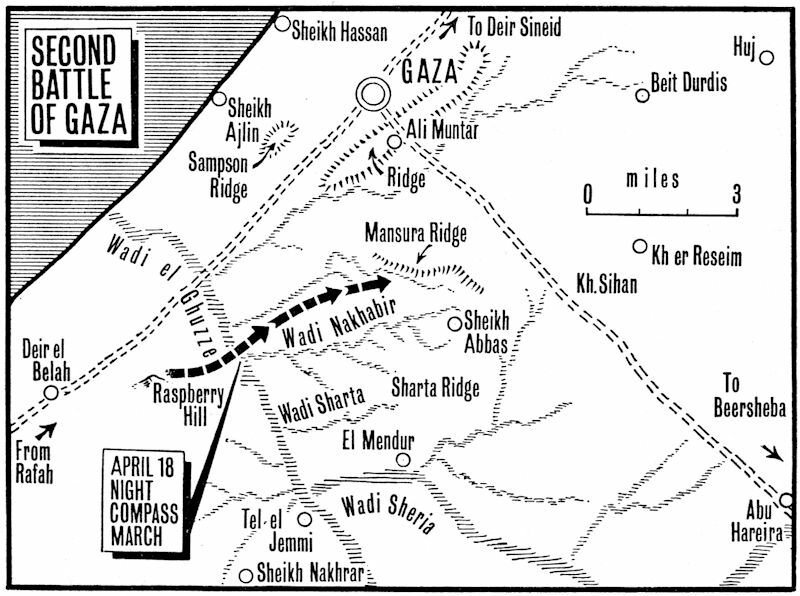 The Second Battle of Gaza began on 17 April, with three infantry divisions, the 52nd, 53rd and 54th advancing and gaining a line from the Sheikh Abbas – Mansura Ridge to the coast. The 18th was then spent in consolidation and the main attack on the town launched on the 19th. At 0030 hours on the 17th, the 10th Bn KSLI marched from Deir el Belah to a camp 3 miles to the north at Raspberry Hill, arriving at 0300 hours, and dug in. There they remained until 2030 hours on 18 April, when they marched out with the 231st Brigade, reaching a position 2000 yards south east of the Mansura Ridge at 0400 hours on the 19th, and again dug in. There they remained in reserve throughout the day. The infantry encountered the fiercest opposition and none of them were able to make the progress anticipated, despite use of such modern weapons of warfare as gas and a few tanks. The tanks that took part in the battle, despite some useful work, had a bad time of it, most being destroyed by the extremely accurate Turkish artillery. Officers of 10th Bn KSLI climbed a small hill near to their positions to view the opening of the battle. It was here that the Battalion suffered its first casualty, when Captain R.T. Jones was severely wounded in the knee when a shell dropped close by them. The two men were Privates Henry Griffiths (killed in action 19 April 1917) and Thomas Beeby (died of wounds 20 April 1917). Henry Griffiths was born in 1895, the son of Walter Griffiths and Emily Ann (nee Jones), at Dilwyn, Herefordshire. Walter was a farmer and hop grower there, at The Firs. Walter married Emily at Dilwyn in 1887 and they had twelve children; Mabel, Ellen, Emily, Walter, Thomas, Henry, Violet, Kathleen, William, George, Constance and Andrew. 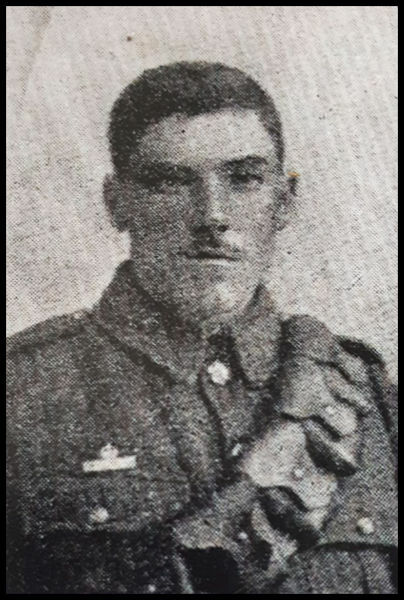 In April 1915 Henry Griffiths enlisted with Shropshire Yeomanry (Private, No. 2465). Killed in action: Palestine on 19 April 1917. Thomas Beeby was born in 1892, the son of William Beeby and Sarah (nee Mallinson), at Great Salkeld, near Penrith, Cumberland. William married Sarah in 1891 in Cumberland and they had four children; Watson, Thomas, James and Joseph. In 1896 William died and in 1902 Sarah married Joseph Hetherington with whom she had two daughters, Margaret and Doris. Sarah was an inn keeper at Great Salkeld, and by 1911 Thomas was employed as a groom in Starbeck, Yorkshire. 1917 was not a good year for Sarah, he second husband, Joseph died that year and two of her sons were killed in the war; Thomas in Palestine and Watson (serving with the Royal Field Artillery) in France. In August 1914 Thomas Beeby enlisted with Shropshire Yeomanry (Private, No. 1882). Died of wounds: Palestine on 20 April 1917. The next morning, after General Dobell’s decision not to continue the battle, the 74th Division moved back to a position two miles to the south. It was anticipated that there might be a Turkish counter-attack and the Division was given responsibility for protecting the east flank of the Force. Arriving at 2000 hours and in the dark they dug in on a 1400 yard front on the Sharta Ridge. Two days later, on the 22nd, they took up another position half a mile south of ‘Charing Cross’, where two tracks met in the desert. 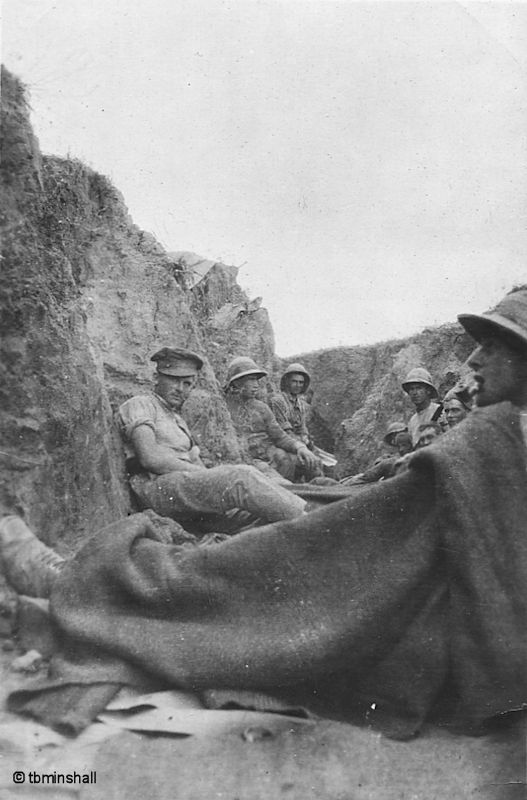 The period 22-27 April is covered by the Battalion War Diary with four words "Work in trench line", and for 28 April notes "Handed over trenches to 229th Brigade." 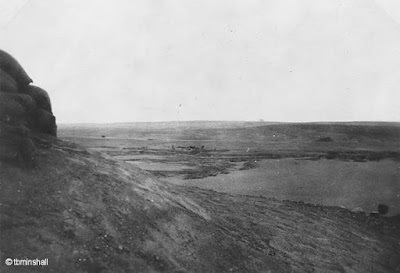 The 231st Brigade with the 10th Bn KSLI was withdrawn about three miles to the south west to the junction of the Wadi El Imaain and the Wadi el Ghuzze near a hill called Tel el Jemmi. The official British casualties (killed, wounded and missing) from the 17 to 20 April 1917 were 6,444. Turkish casualties for the same period were less than a third of that figure.